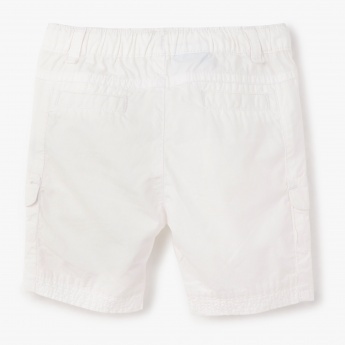 Your little boy will cut a fetching figure in these shorts that come in a light neutral tone. 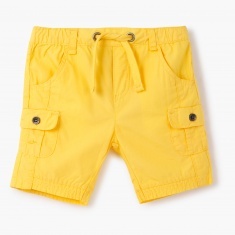 The elasticized waistband with drawstring makes them easy to put on. 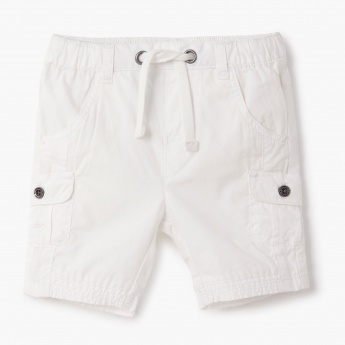 The contrast buttons at the pockets enhance their appeal.